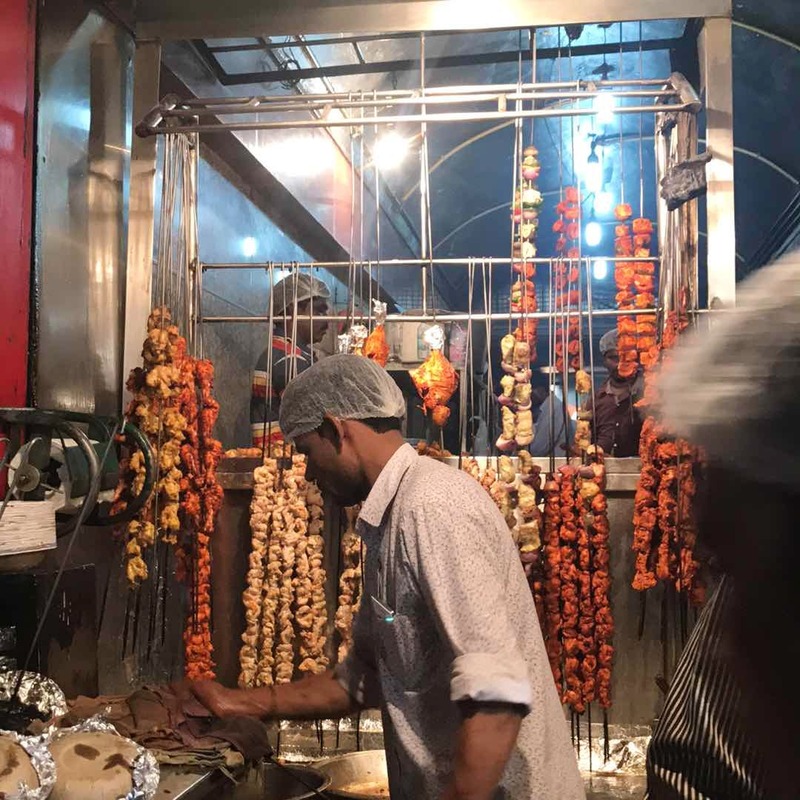 The meat being sold here are mouth-watering and the mutton barra is a must-have, as are the galouti kebabs. Not only the non-vegetarian food, but the service here is excellent. They allocate a "bhaiyya" to you who'll get your food to your scooter or car, piping hot and fresh. Cab it. Parking is a hassle and there are a ton of scooters and bikes parked around you can use as tables. The place is usually super crowded on the weekends so make sure you know what you want. There's also a restaurant version nearby if you want the air conditioning and extra taxes. I personally prefer slumming it - it's part of the experience.